As we approach the Youth Media Awards announcements on February 2—deemed by many as the “Oscars of the Kid Lit World”—Mock Newbery, Caldecott, Printz, and even Geisel lists abound. A longtime tradition, the creation of these compilations of possible contenders are often debated in libraries and schools and among children’s literature fans. But what about the Pura Belpré Medal? I haven’t seen any mention of possible winners for the award that honors children’s books written/illustrated by Latino(a)s that celebrate the Latino cultural experience. In a year that brought the need for diverse titles to the forefront of the publishing world, this conversation has been sorely absent. Established in 1996, the award has been presented annually since 2008 by the Association for Library Service to Children (ALSC), a division of the American Library Association (ALA), and REFORMA, the National Association to Promote Library and Information Services to Latinos and the Spanish-Speaking, an ALA affiliate. It is named after Pura Belpré, the first Latina librarian at the New York Public Library. So with less than one month to go until the shiny medals are placed on stellar books for kids and teens, I’d love to open up that conversation now. First, here’s a short overview of the criteria that librarians on the committee (members of REFORMA and ALSC) will consider when naming the recipients of the 2015 awards (found in the Pura Belpré Award Manual). Two medals shall be awarded annually at the Annual Conference of the American Library Association, one to a Latino author of an outstanding children’s book and one to a Latino illustrator for creating an outstanding children’s picture book. Each of these must be an original work that portrays, affirms, and celebrates the Latino cultural experience. The award-winning books must be published in the United States or Puerto Rico during the preceding year. Fiction and nonfiction books for children published in Spanish, English, or bilingual formats are eligible. A “children’s book” shall be a book for which children are a potential audience. The book must display respect for children’s understandings, abilities, and appreciations. Children are defined as persons of ages up to and including fourteen, and books for this entire age range are to be considered. Particular attention will be paid to cultural authenticity. “Resident” specifies that author has established and maintained residence in the United States, or Puerto Rico, as distinct from being a casual or occasional visitor. After perusing the Latinas 4 Latino Lit blog’s selections of Best Latino Children’s books and taking part in School Library Journal’s Top Latino Books of 2014 curation, here are some of the titles I think have huge Pura Belpré potential this year. Please feel free to disagree with me and add some of your own possible contenders. 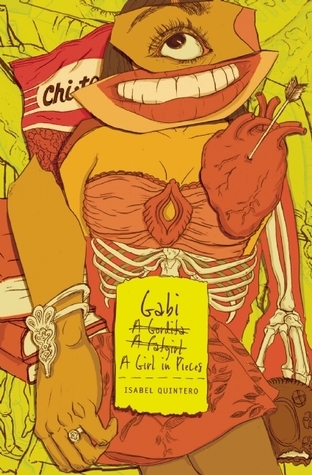 Winner: Gabi: A Girl in Pieces by Isabel Quintero; published by Cinco Puntos Press. Reasons why I think it will win: Never mind the starred reviews in SLJ, Kirkus, Publishers Weekly, Booklist, and VOYA. Or the fact that it’s an SLJ and Kirkus Best Book of 2014. It’s also an SLJ Top Latino Book of 2014. And it has garnered the honor of being a finalist for the YALSA Morris Award, an award that recognizes outstanding debut YA novels. Quintero’s book celebrates the multidimensionality of being a Latina. Never quite fitting in the mold of “American” or “Latina,” Gabi speaks to the generation of young women who have grown up speaking Spanglish, mostly poor, and inhabiting the in-between spaces of two cultures. The writing is stellar, honest, and lyrical. My SLJ review of Gabi. TLT Toolbox review of Gabi. 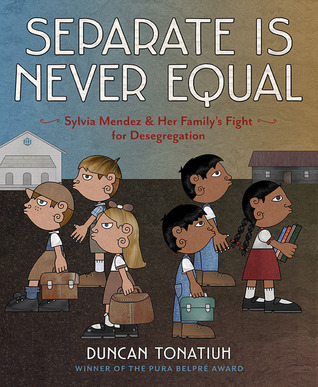 Separate Is Never Equal by Duncan Tonatiuh; published by Abrams. Reasons why I think it will be honored: Tonatiuh is a past honoree for his Pancho Rabbit and the Coyote: A Migrant’s Tale, and his work continues to bring light to important issues in Latino culture in a kid-friendly, accessible way. It’s an SLJ and Kirkus Best Book of 2014, an SLJ Top Latino Book of the year, and a JLG selection. Plus, Sylvia Mendez’s fight against desegregation is just as relevant to the current social justice issues occurring in our country as it was 50 years ago. Fuse 8 Blog review of Separate Is Never Equal. 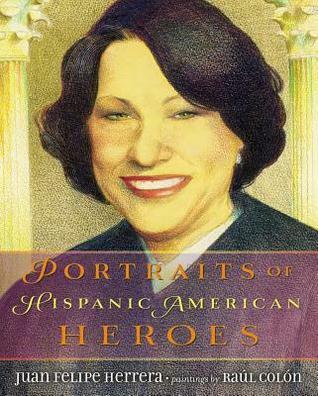 Portraits of Hispanic American Heroes by Juan Felipe Herrera; published by Dial. Reasons why I think it will be honored: It’s on the SLJ Top Latino of 2014 list and received an SLJ star. This collection of essays by the California Poet Laureate is lyrical, revelatory, and truly underrated. While it hasn’t garnered that much attention from the other trade journals, I do believe that these vignettes wonderfully shed light on many Hispanic historical figures that are not often celebrated. He’s also received an Honor in the past (for Laughing out Loud, I Fly in 2000), so he’s definitely not a stranger to the Pura Belpré. 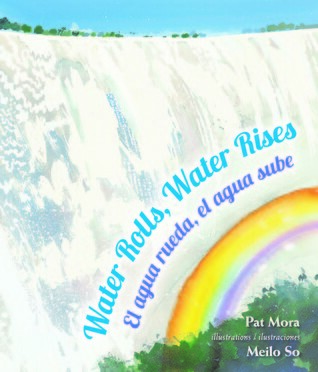 Water Rolls, Water Rises: El agua rueda, el agua sube by Pat Mora; Children’s Book Press. Reasons Why I think it might be honored: Mora isn’t a stranger to the Pura Belpré either. An influential Mexican American author, she’s also the founder of Día de los Niños, Día de los libros. She’s been honored in the past (for Doña Flor, in 2006), and I think she’s due for another this year. Her Water Rolls, Water Rises is a poetry text that truly rises to the top with its structure, message, and imagery-filled narrative. It’s a Kirkus Best Book and a 2014 Cybils Finalist. The work also received positive reviews in SLJ and PW. Other Possible Contenders: These two books have flown a bit under the radar, but they both tell often overlooked sides of the immigration narrative. Who knows? Perhaps these underdogs might run off with a shiny sticker come Midwinter? I Lived on Butterfly Hill by Marjorie Agosín; published by S. & S./Atheneum. Booklist star; positive reviews in SLJ, PW, Kirkus. The Secret Side of Empty by Maria E. Andreu; published by Running Press. JLG selection, SLJ Top Latino of 2014; positive reviews from SLJ, Kirkus, VOYA, Booklist, BCCB, PW. Winner: Draw! 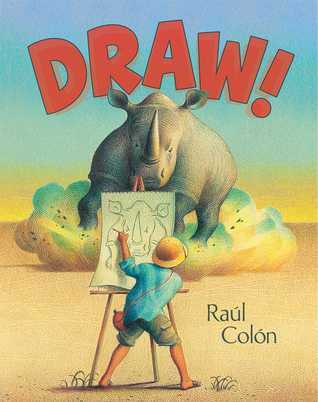 By Raúl Colón; published by S. & S/Paula Wiseman Bks. Reasons why I think it will win: Probably one of the most celebrated—but equally underrated—titles of the year. How is it that not enough people are talking about this book? It’s my belief that Colón should win every year (or at least that he and Yuyi Morales should take turns). The practically wordless picture book follows a boy who escapes the confines of his room (where he’s been resting because of a sickness) through the power of his imagination and a sketchbook. This beautifully illustrated autobiographical artist’s journey celebrates fancy and adventure, and Colón’s choice of two palettes to depict the before and after is ingenious. Reasons Why I think it might be honored: Tonatiuh has won a Pura Belpré recognition multiple times, in the narrative and illustration categories, and even both at once (just last year, actually). His unique art draws inspiration from the pre-Columbian codices, giving his work added significance to Latino culture. While questions of his eligibility have often been raised, he is a resident of Mexico AND the United States, so his books fair game. Especially relevant in Separate Is Never Equal, is his depiction of different “colored” Mexican American characters. Though Sylvia Mendez and her cousins were part of the same family, her lighter-skinned cousins were able to “pass” as white. This nuanced portrayal of history shines in Tonatiuh’s groundbreaking work. Robin Smith has an interesting discussion on his art on the Horn Book website that is worth reading. 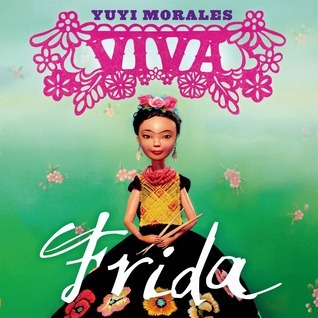 Viva Frida by Yuyi Morales, photos by Tim O’Meara; published by Roaring Brook Press/Neal Porter Bks. Reasons why I think it might be honored: Stunning. Gorgeous. Ingenious. I’m marveled at how Morales’s work continues to grow and evolve. Last year’s Pura Belpré Medalist, her Niño Wrestles the World, was a winning, kid-friendly romp through Mexican American culture. Viva Frida is more contemplative and evocative, but no less charming and illuminating. The writing is spare in English and Spanish, and gives an almost dreamlike quality to this exploration of the iconic artist. There are countless works on Frida Kahlo and Diego Rivera, but this title introduces not only the artist, but her work and joie de vivre. The detailed puppets and backdrops created by Morales showcase her overwhelming talent. And if you’re not wowed yet, check out this video of the illustrator’s art process. Fascinating! One quibble, though: Would O’Meara be considered a co-illustrator of this work? Would that then make it ineligible because he isn’t Latino? That’s for the Committee to ultimately decide. 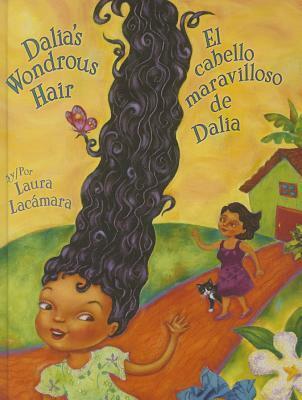 Dalia’s Wondrous Hair/El cabello maravilloso de Dalia by Laura Lacámara; published by Arte Publico/Piñata Bks. Reasons why I think it might be honored: This bilingual picture book might be a dark horse, but it has received several recognitions (SLJ Top Latino of 2014, starred Kirkus, positive review in PW) and boasts an all-female cast that is refreshing and culturally relevant. Hair plays a big role in Latino society and race issues, and it’s celebrated in this family-centered, whimsical tale. Lacámara’s illustrations take a life of their own and wondrously depict Cuban island life with authenticity and effervescence. 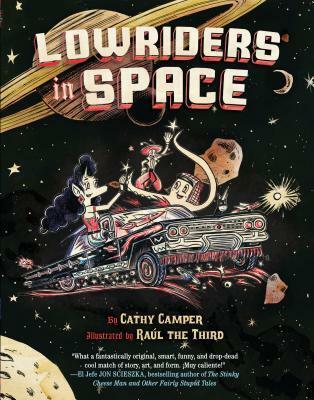 Lowriders in Space illustrated by Raúl the Third, written by Cathy Camper; published by Chronicle. Reasons why I think it might be honored: This fun, graphic novel pushes the boundaries of what is considered a “picture book,” but the Committee might be feeling adventurous. A few have noted some irregularity in the text and the Spanish translation, but since the honor is for a book’s art, I’ll focus on Raúl Gonzalez’s comic book-style street art-type illustrations. Gonzalez used black, blue, and red BIC pens to create the images, and he’s captured a facet of Latino life that is not often showcased in children’s books. His innovative take on visual storytelling is brave, honest, and much-needed. 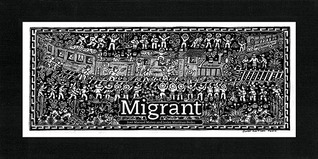 Migrant Illustrated by Javier Martínez Pedro, written by José Manuel Mateo; published by Abrams. This breathtaking work about a Mexican boy’s journey to the United States with his family is complemented by one long, black-and-white illustration reminiscent of pre-Columbian codices, packaged as an accordion-style foldout frieze. The timely tale was originally published in Mexico, and so isn’t eligible for the Pura Belpré. If only! “Children’s books ‘published in the United States or Puerto Rico,’ means that books originally published in other countries are not eligible. The “Seven Impossible Things” blog has a peek at the full image, so please feel free to lament along with me. So what do you think? Am I on target? Were there any of your favorites I missed? Great list of books. I wondered if “Gabi: A Girl in Pieces,” would qualify since the protagonist is 16 years old? I hope “The Secret Side of Empty” gets an award. One book I enjoyed was “Gabi, Lost and Found,” by Angela Cervantes, which deals with a six grader’s life as a result of her mother’s deportation to Honduras. thanks! Well, the award is for an audience of up to age 14, and many times characters in books intended for 14-year-olds are older than the readers themselves. I think the protagonist in Secret Side of Empty is a senior, right? And, I love Gaby, Lost and Found too! But since it was published in 2013, it isn’t eligible for the 2015 Pura Belpre. Silver People is one other book that may have possibilities. I’ve wondered about the eligibility for Viva Frida. I think it is amazing and quite deserving, but that could be an issue. I think your choices could easily be contenders. Thanks, Crystal for your comment. Agreed! Silver People by Margarita Engle is a strong contender. Engle’s verse novels are beautifully written, and she always finds a way to tap into an aspect of the Latino history that has never been covered before. I agree that Gabi is a winner. I’ll be shocked if it doesn’t win the Pura Belpre, senior division. Great write-up! Always love hearing from the amazing Shelley Diaz, and we need to generate buzz for the Pura Belpre award! I adored the PB celebration at MLA last year–one of the few of the award ceremonies that any conference participant can attend without a ticket. GABI is a total fit for this award. Also great to see how many of the titles here have been recently reviewed on Latin@s in Kid Lit. Thanks, Ashley for your sweet words.